The third grade students at Hmong American Peace Academy have been working to make a community dream a reality for themselves and their school mates. For eight years, their school has been located in city of Milwaukee where no green space has been available for playground equipment or extracurricular outdoor activity. Despite the loss of opportunity to have a playground to enjoy at recess time, students have learned to play together peacefully with balls and jump ropes. Now that the school is expanding to a new location, students are hoping that their dream of a playground will come true. The third grade students invite all community members to listen to their story voiced in “Playground for Peace”. 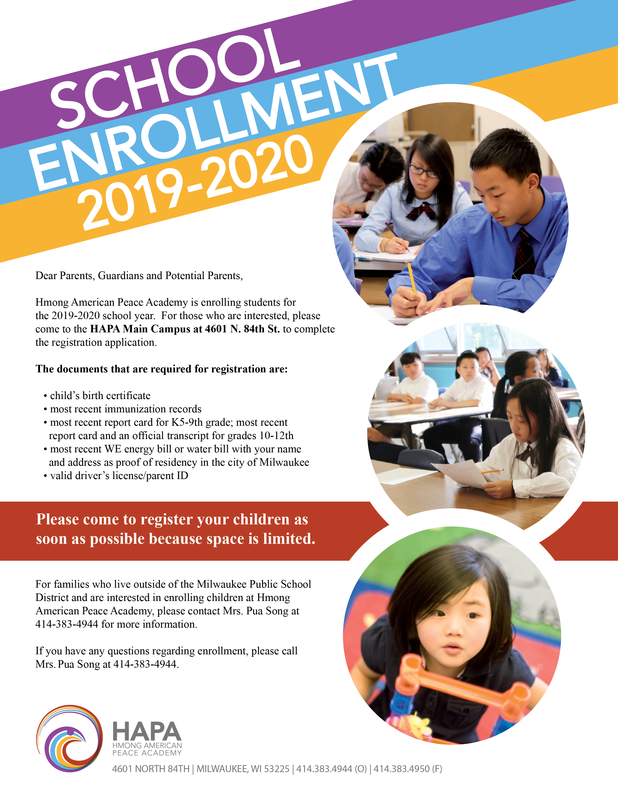 The Hmong American Peace Academy (HAPA) is excited to announce “The Playground for Peace,” a project created to help raise money for a playground at the new facility. The project is simple – HAPA hopes to generate funds through business donations and sales of student-made bookmarks, beaded bracelets, greeting cards and plants. With student enrollment at a record high of over 950 students, HAPA’s reputation is spreading! As a result of our growing student body, HAPA, LTD relocated to Milwaukee’s north side. Any and all donations given to the Playground for Peace initiative will directly benefit HAPA and the strong community of learners it serves. HAPA is the first Hmong charter school in the state of Wisconsin in the nation to provide a K4-12th grade education. We embrace high levels of academic standards and self-discipline, transforming independent learners into responsible citizens of the world. During the 2011-2012 school year, the fourth grade class at HAPA surpassed state testing results for MPS in every subject area. That same school year, the seventh grade class surpassed the district’s test results in math as well as the state’s scores. With 86 percent of students receiving free or reduced lunch and 98 percent of students speaking a primary language other than English at home, HAPA’s test scores are a testament to the dedication of the students and staff.